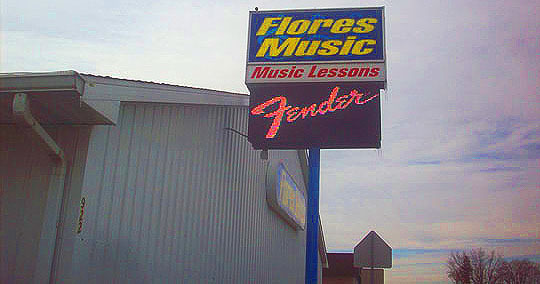 Flores Music, where you can buy an instrument and also learn how to play it. They've been in this same location on War Memorial Drive for over thirty years. I haven't been in this store for quite a while, let's go inside and check it out! 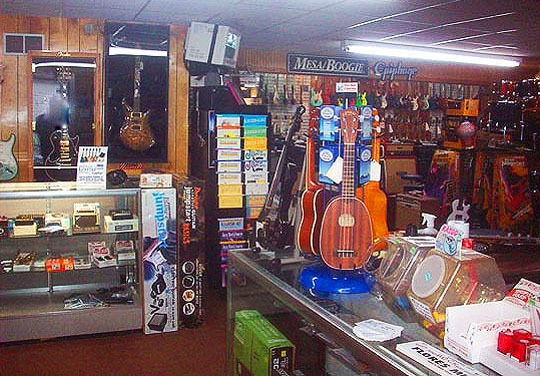 Even though I don't play an instrument, I love hanging out in music stores and looking at the different musical items contained within them. Honey, I shrunk the guitars! Here's the founding father of Flore's Music, Jesse Flores with his son Tony on the right. And here's all the Flores fellows who run the store today with a celebrity drummer who stopped by. From left: Tony, Mike, Jim Riley, drummer for the band Rascal Flatts, Jesse and Victor. Jim Riley not only posed for a photo, he autographed this drum head for the store as well. 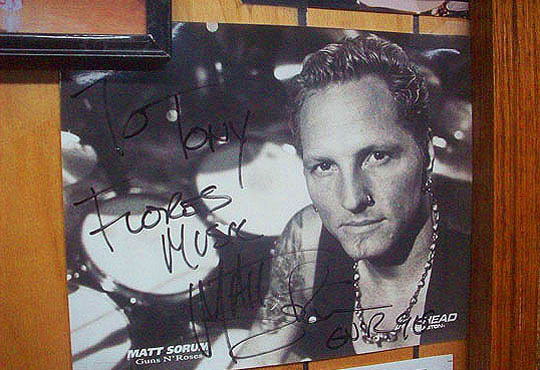 Former Guns and Roses drummer Matt Sorum is represented in Flores Music as well. 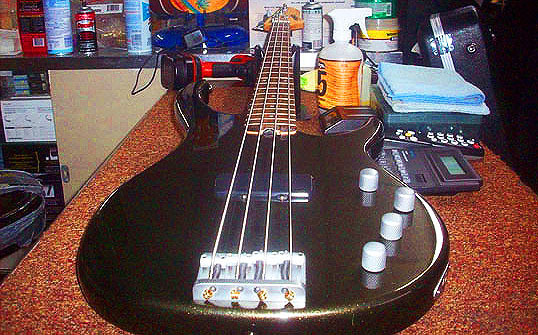 Jesse and Tony had to hit the road, but they told me to feel free and wander about the store, so let's take a little self-guided tour, starting with this bass guitar on the front counter. If drumming is your madness, you can fulfill your dreams here. Put the pedal to the metal and rock on! 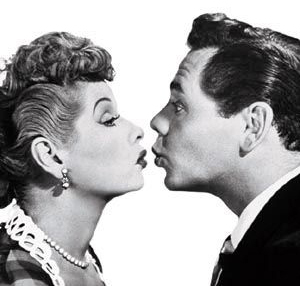 These conga drums put me in a Ricky Ricardo mood. Loooseee! 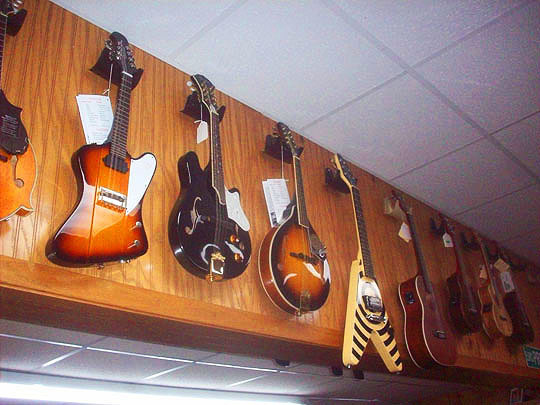 Wow, check out all the guitars in the back room! There's every style and color of guitar you can imagine back here. And where there's guitars, amplifiers are never far behind! These don't go to eleven, but they're fine amps all the same. 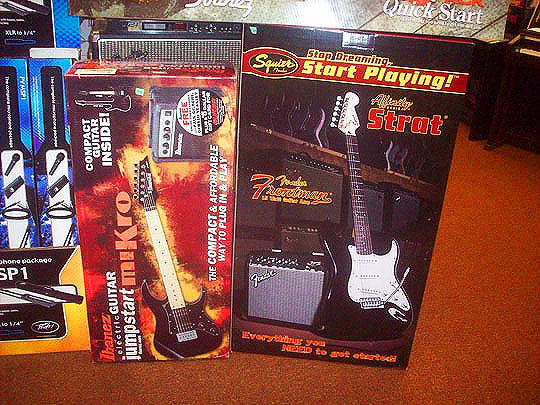 There's wine in a box and now you can also get a guitar in a box. What a wonderful world we live in! 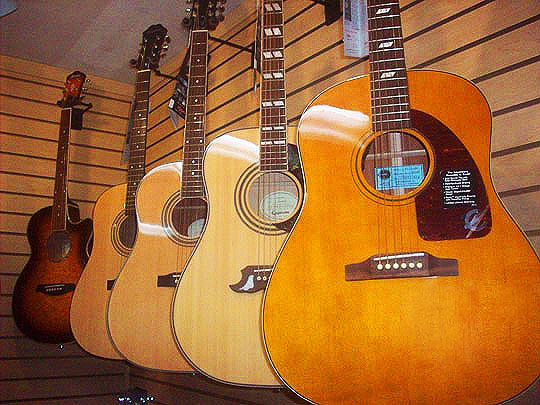 Here's a roomful of acoustic guitars. Unplugged and ready to start strumming! I'm guessing this means prices have been Slashed? Status cymbals...sorry about that, sometimes a pun just can't be helped. Tiny guitars hand just beneath the ceiling. This case has numerous fuzz tones and distortion devices for the garage rockers out there waiting to get their tunes played on Little Steven's radio channel. 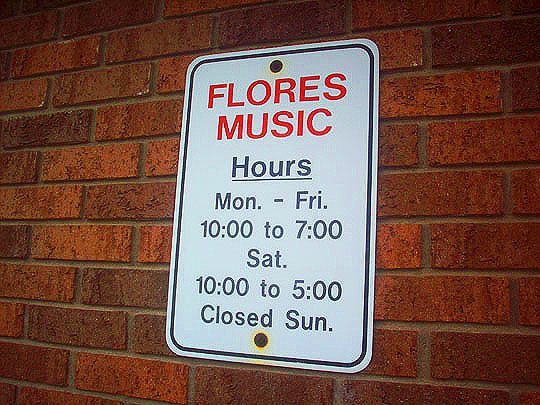 If you're feeling horny, Flores Music can satisfy you! Bluesman Buddy Guy, signed it, very cool! And here's to 45 more years of Flores Music and then some! See you all tomorrow! Further reading: Google + and facecrack. And we've come a thousand miles from a Guitar Town. Bonus Photo by Gene Rubbico! Looks like the gum craze started by Northwoods Mall is spreading! MBIP commenter and bar crawl correspondent Gene sends in this photo of a gum island from Arundel Mills Mall in Hanover, Maryland. For the love of sweet gum! Thanks, Gene!